Are these buses owned by the CTA or is there a private entity that owns them. If it's the latter, then those buses could be sent along to another client once the CTA testing is concluded. The grant* was to CTA, so they own them. The debate is over what was meant by a one-year test, i.e. was it like the fuel cell buses, that apparently didn't work out, for reasons now indicated in the 5900s thread, or a one year test for the 40 foot hybrids, most of which are still around, and resulted, before the year was up, in leasing 150 60 foot hybrids (4000-4149). I suggested that depended on the terms of the TIGGER grant, as opposed to the usual FTA 12 year life. If you notice on mel's pictures of #700, the floors are blue. I actually like the blue floors it brightens up the floor and gives it some color. I wonder if the #7900's would still possibly be delivered with the blue floors? #7900 was a test bus and the floor was kind of dull. Why not just put a jet black floor then like the #6000's, what is with the unfinished look? The floors on the new novas are similar to the floors on the 5000 rail cars. I hope I time it well enough, since I'm hitting Milwaukee for a day trip in the first week of August for a Brewers game and the State Fair. They arrived late last week. 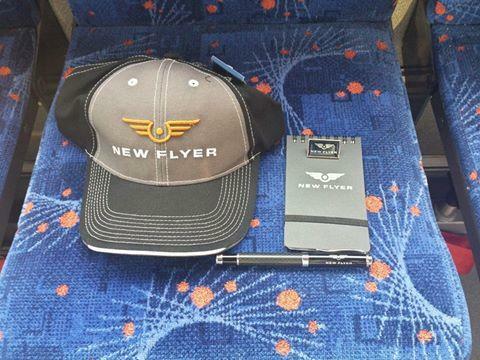 I was on a tour of the new Flyer plant in St Cloud last Thursday and the gentleman giving our group the tour of the plant also happened to be on the development side of the two buses. He stated the first bus was trucked out on Wednesday and the second was to leave the Thursday we were there, around noon. I asked if it would be possible to see the bus before it was shipped and he stated that he would bring it around for us to look at. He parked the bus at a factory door and invited us to look inside. The first think I noticed when entering the bus was the iconic CTA green used transfer bag by the driver position. The bus was all white no exterior color or striping. The number 700 was on the interior front panel. A battery charging module is to be shipped this week and costs $43.000. NO cameras were allowed on the tour so there is no picture to post. Hmm... I wonder if they offered, sold or passed out any company paraphernalia. Cool goodies! If only they made a model of their bus. Meh..... might be a little too soon, IMO. I don't even think CTA has the charging stations set up for them. Then they have to determine what route to put them on(they are currently at Kedzie Garage) and put a charging station at the end of the line they determine will be test route for these two buses. Then Forrest Claypool and Rahm Emanuel have to hold a press conference talking about them and how they hope they will be the future of public transit for buses. I would look for them to debut somewhere between Jan-May, 2015. I wonder how long did it take the #5900's to get on the street from delivery? Article says "British Columbia company"; nothing about Winnipeg. But you have been told that before. I spotted one of the XE40s going southbound on Ashland near Roosevelt Rd earlier this afternoon. I didn't see which one it was because I was inside the Jewel store at the time. And before anyone asks if I'm sure it was one of the XE's, who else besides CTA has all white Xcelsior buses in this city or any Xcelsiors at all for that matter? Sounds right. The only buses here that come close are the private buses (I think Northwestern University has some), and I've never seen them on Ashland. Also, I'm pretty sure anyone on here can tell that the private buses are not Xcelsiors. So good catch! Not doubting it or what you saw jajuan(you were there, I wasn't), but being at Ashland and Roosevelt and a ways from Kedzie(358 S. Kedzie) where could it have been coming from? There hasn't been much about these two buses since their delivery in June I think. I don't even know if the charging stations have arrived/been built for them. As stated before, these buses should debut in regular revenue service around Late-August-September Timeframe, so the sighting is not shocking. It looks like the CTA might have been testing these XE40s for a while to break them in. Wouldn't be surprised that if a press conference for the 700-series is scheduled, that representatives from New Flyer would be in attendance to help introduce the 700-series. Once again, EXCELLENT sighting jajuan. I took our CFD Flxible to Kedzie to get it washed for the Billiken parade. I saw one of the two hybrids still in the shops area of the garage. It seems like its just sitting there just collecting dust. I don't know if the chargers have arrived/been built. I don't think these can be ran without them because the battery will need a charge eventually. I just call all Gilligs "Trombones" or "Vacuums" (from their weird exhaust pipes). They must have something keeping the batteries charged at Kedzie at least because as I said Friday, I saw one rolling down Ashland early Friday afternoon. 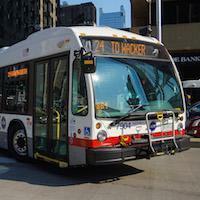 The Tribune reports that the CTA got a TIGGER grant for two electric buses.